The consequences of a school child taking drugs on just one occasion can be poor performance in the classroom, disruptive behaviour, risk of injury or even overdose. With regular use, addiction can become a real possibility. There is growing evidence of long-term damage to the health and wellbeing of young drug users. Of particular concern is the link with mental health issues, such as depression, suicide, psychotic symptoms, anxiety and paranoia. Researchers have recently found robust evidence to show that using cannabis in adolescence can increase the risk of developing depression in adulthood by 37%. In February 2004, Prime Minister Tony Blair announced his support for randomly drug testing pupils in UK schools: “We cannot force them to do it but if heads believe they have a problem in their schools then they should be able to use random drug testing”. In 2005, a school in Kent became the first state school to report the introduction of random drug testing. It is still not normal procedure in the UK. However, it is slowly being introduced as headteachers attempt to tackle the growing numbers of young users. Indeed, drug use is prevalent among the UK teenage population. In 2016, the Smoking, Drinking and Drug Use Among Young People in England  survey reported that 24% of pupils (aged 11–15) had taken drugs. This compares to 15% in 2014. Part of the increase since 2014 may be explained by the addition of questions on nitrous oxide and new psychoactive substances (NPS). However, even after allowing for this, it still represents a large increase which has not been observed in other data sources. The survey showed that the likelihood of having ever taken drugs increased with age, from 11% of 11-year-olds to 37% of 15-year-olds. Similar proportions of girls and boys said they had ever taken drugs (25% vs. 24%). Cannabis was the most frequently used drug, with 8% saying they had done so in 2016; similar to 2014 but well below the 13% reported in 2001. The proportion saying they had taken volatile substances (such as gas, glue, aerosols and other solvents) has stayed around 3–4% since 2010, and class A drug use around 2–3% across the same period. In 2016, 4% and 2% of pupils said they had taken nitrous oxide and NPS. Headteachers are responsible for the welfare of their students, and this includes being able to identify issues like drug abuse. They have an obligation and duty to students in their care to provide them with an environment that’s safe and conducive to learning. 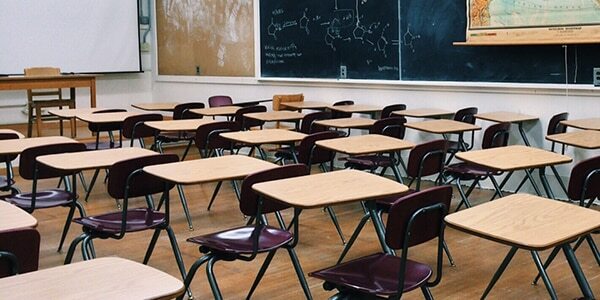 The Department for Education and Skills has produced guidance that schools should ensure that pupils who may be vulnerable to drug misuse are identified and receive appropriate support. Random drug testing in US schools has been effective in reducing and deterring drug use among adolescents, according to the Office of National Drug Control Policy. Drug testing was responsible for a significant reduction in cannabis use from 18.5% to 11.8%. The most common drug testing methods for on-site testing at schools are urine and oral fluid (saliva) because they are quick, accurate and provide immediate results. Their period of detection is from 30 minutes up to a few days, although this can depend on the particular substance taken. Oral fluid testing will indicate if a student is under the influence of drugs whilst they’re at school. The detection period for urine drug testing is longer, so will indicate whether the student is using drugs outside school hours and at weekends.